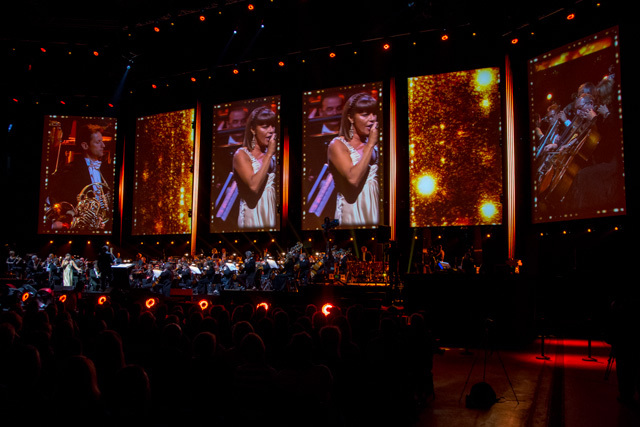 I have been going to the Krakow film music festival (FMF) now for a couple of years. I love going to this festival. I love the city the concerts. The meetings and of course meeting a lot of my StreamingSoundtracks.com friends. I still remember that two years ago it was almost cancelled. Luckily they managed to have three concerts then in the lovely factory hall. Last year, they had two smaller concerts where one was an Ernst Reijseger concert in a small church. But this year the festival returns with a bang with 2 concerts in a newly build sports arena next to two concerts in the factory hall. With these four concerts the FMF has doubled the audience from last year. This year the festival had a lot of composers. Not only my fellow Dutchman Matthijs Kieboom, but also Oscar winners like Elliot Goldenthal and Dario Marianelli. But that is not all. The line up was huge! Bartosz Chajdecki, Johan SÃ¶derqvist, Garry Shyman, Patrick Doyle and last but definitely not least: Hans Zimmer. 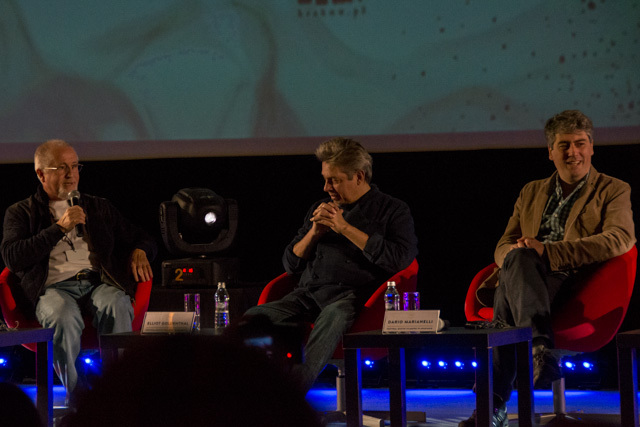 During the festival days there were a lot of master classes, workshops and Q and A’s where you could hear a lot of composers talk and hear their stories. Some composers are very open for the audience. Patrick Doyle is the greatest example. He loves to talk with the fans and wants to know about them as well. Hans Zimmer is unfortunately too used to Hollywood and there were always men in suits following him and keeping his fans away. To me that was a bit strange because during the Q and A with him he told the audience that he preferred to do a concert in their living room. 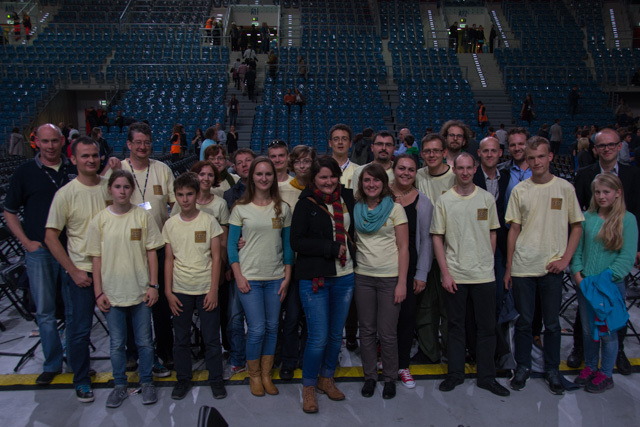 The Q and A with all the main composers on the last day was my highlight. Especially the jolly Patrick made it an fun session. Also the witty remarks from Elliot are always an enjoyment to hear. The first concert was in the factory hall we all know so well. 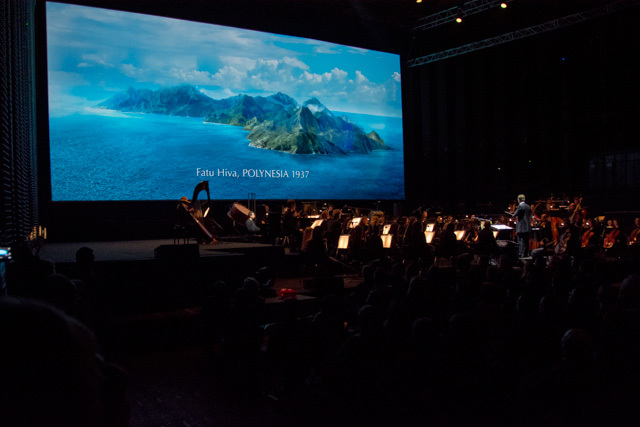 We were watching the Norwegian movie Kon-TikiÂ with music from Johan SÃ¶derqvist. It was a nice movie. And that is a bit of a problem I have. When I see a movie I do not pay much attention to the music. So sadly it did not linger to me. It was quite an interesting movie though! Next time I should watch the movie before hand before I attend a concert like that again. 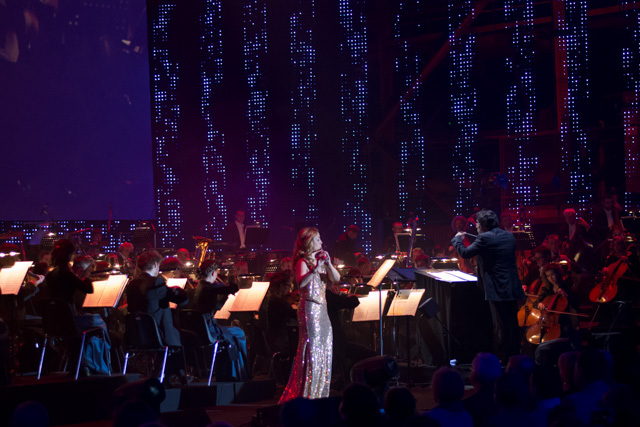 The third concert was the main concert of this festival: The Gladiator with Hans Zimmer as the special guest. We were watching the movie with live orchestra. Lisa Gerrard was supposed be there as well, sadly she was not able just before the concert. Her replacement was extremely well making me almost not sad for Lisa not being there. A good movie and good movie, making at not difficult to be a good concert. One weak spot though, the sound could have been better in the movie. Sometimes it was hard to understand the dialogue. Sadly I do not read Polish subtitles. The last concert was ‘100 years ASCAP’ To only concert this year based purely on film music. Music from composers who are a member of ASCAP. But the evening started with the FMF young composer award, last year won by my friend Matthijs Kieboom. This year the 2nd and 3rd price for composing music for the trailer Bioshock Infinite are StreamingSoundtrack.com members: Joep Sporck and Maciek Dobrowolski! First place went to the young composer Jan Sanejko. Next up was flutist Sara Andon who played the melody of old film music like Spartacus and Breakfast at Tiffany’s. 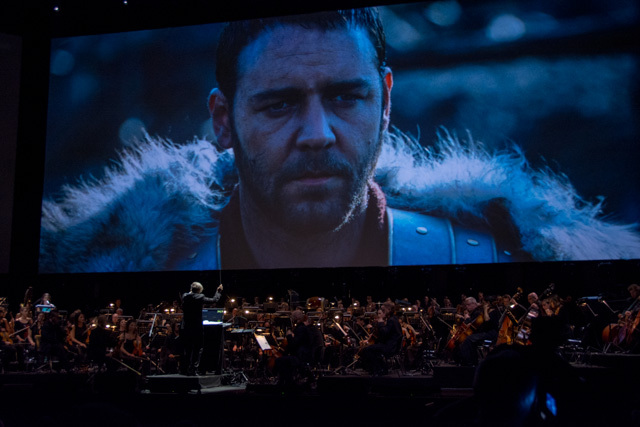 Other music were pieces from Patrick Doyle (Thor, Harry Potter and I, Frankenstein), Dario Marianelli (Anna Karenina), Philip Glass (The Hours) and Gustavo Santaolalla (Brokeback Mountain). The evening ended with the two power houses blasting through the speakers: Elliot Goldenthal’s Grand Gothic Suite with music from Batman Forever and Batman & Robin. With a stunning light show together the sound blasted through the factory hall. The last piece of the evening was The Inception Suite with Hans Zimmer himself on piano. Ending the concert with a bang. So that concludes another good FMF. This year was even bigger than mentioned in this report. This year was also the launch of ‘AlterFMF’ These were concerts that were not part of the main program. For example there was a concert with a small setting playing game music. And a youth orchestra played film music for kids. I am quite curious what next year will bring us.